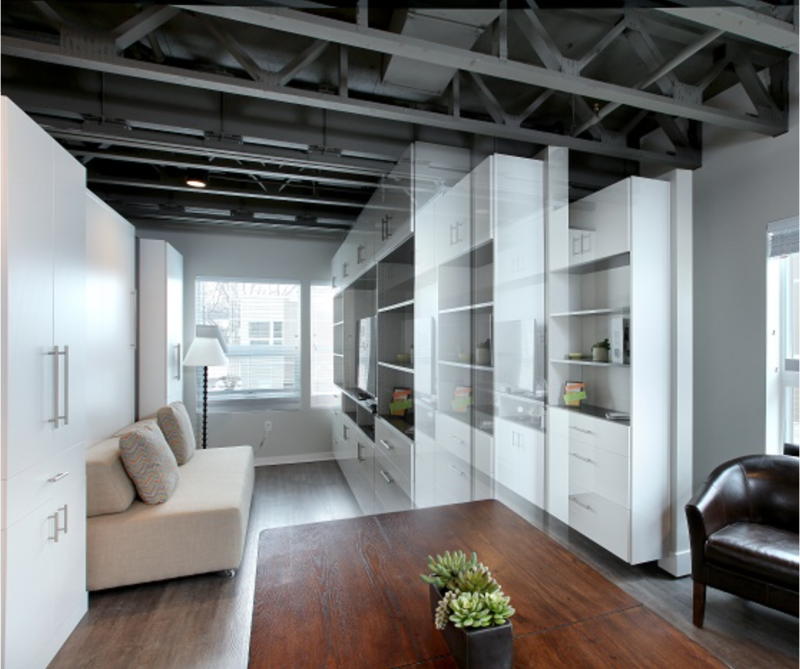 We offer a Vertical Wall Bed and Horizontal Wall Bed. 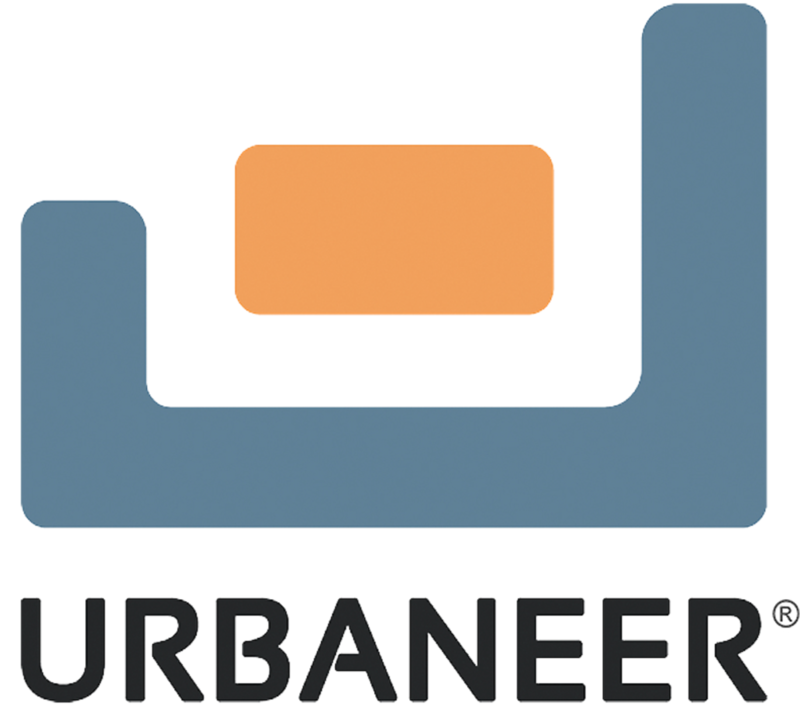 Whether used as a guest bed or primary bed, URBANEER Wall Beds bring flexibility and multi-functionality to any room. Either bed can add as much as 35 square feet of floor space compared to a conventional bed. 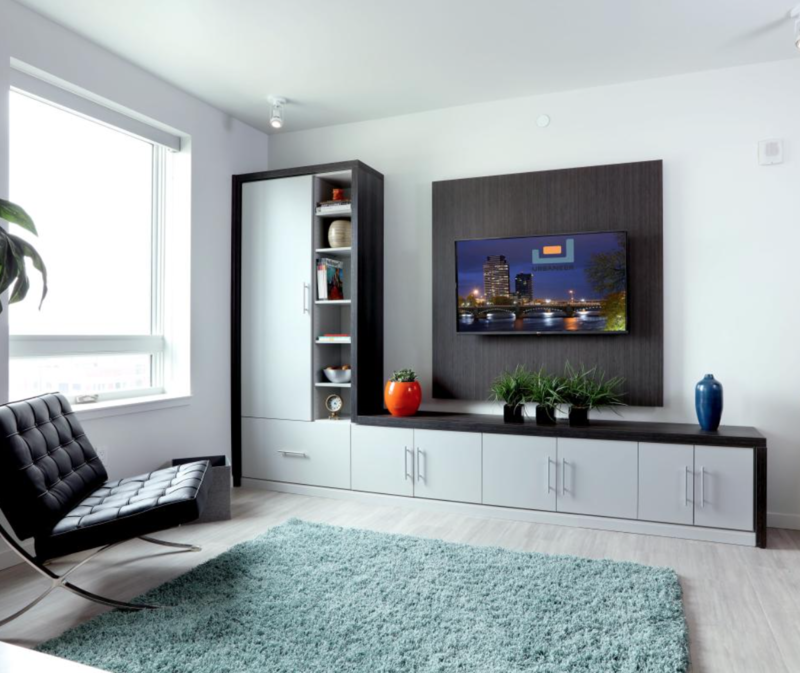 With our Wall Beds, you can easily turn your bedroom into an office, gym, or media room —or vice versa. Wall Bed Sofas and Storage Towers are available to add-on. 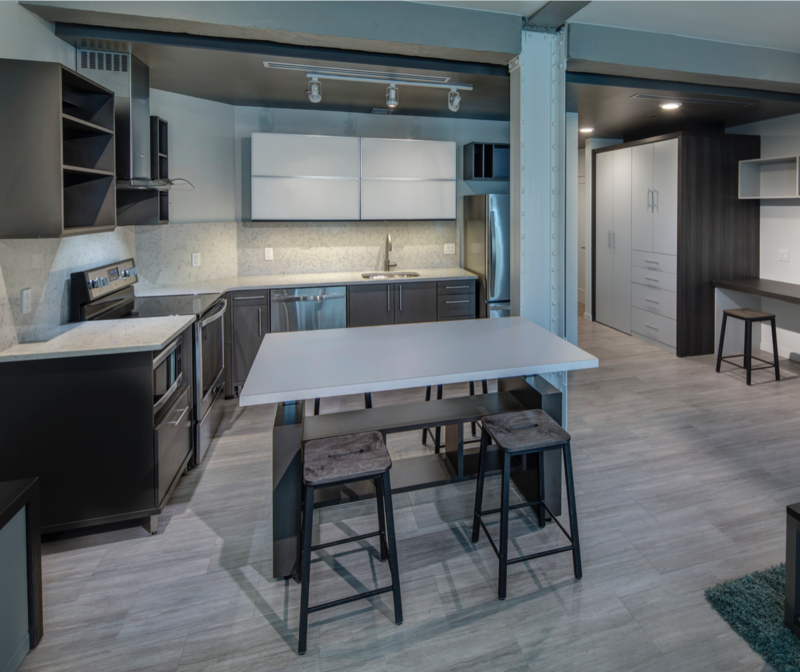 The URBANEER Vertical Wall Bed creates a multipurpose room, accommodating activities from sleeping to entertaining, working to lounging, and everything in between. 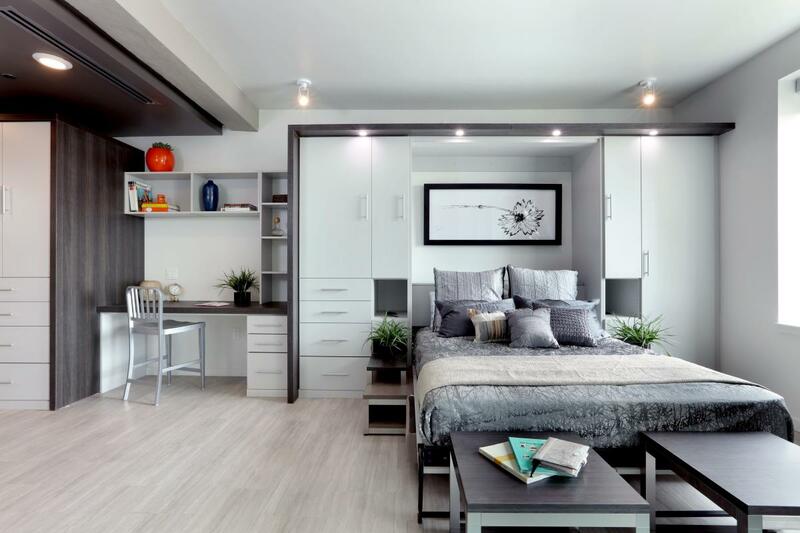 Storage cabinets around the bed can store pillows, blankets or sheets, or be used as dressing wardrobes for clothing, shoes, bags and accessories. The Horizontal Wall Bed brings flexibility and multi-functionality to any space. The Horizontal Wall Bed opens up sideways allowing additional clearance when there is a low ceiling, when the projection into the room is limited, or if the occupant desires a unique style. Our wall beds can take any room from day to night, social to sleep, or work to play. Our wall beds make room on demand and enable multiple uses for the same space, giving versatility to this occupant and the next. Living with less has never been so easy. Our wall beds form to each residents' needs, activities and plans. 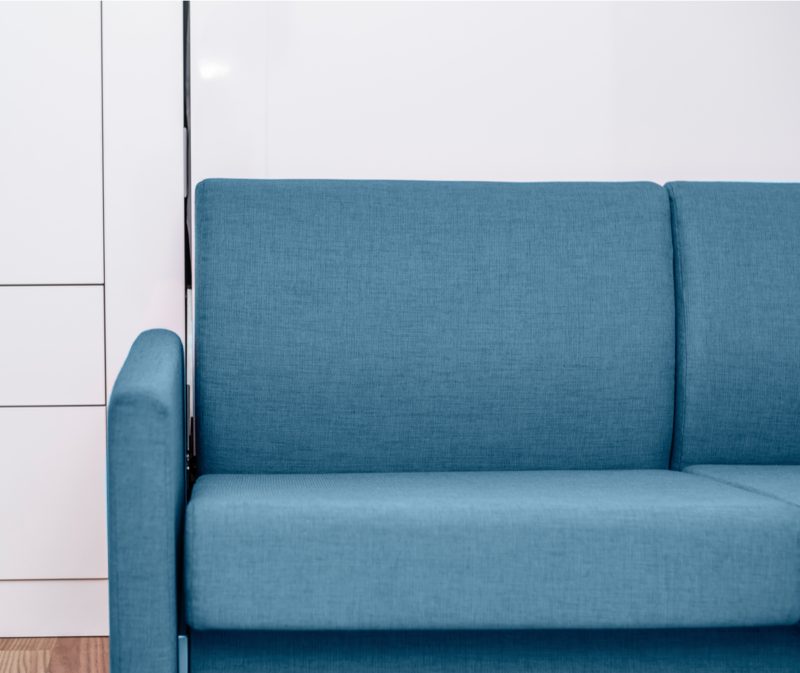 We offer choice of color, material and finish for our wall beds, and over 50 fabric choices for attachable sofas. Adjoining storage towers offer customizable shelving configuration and the option for accessory add-ons. Our wall beds make every square foot count. 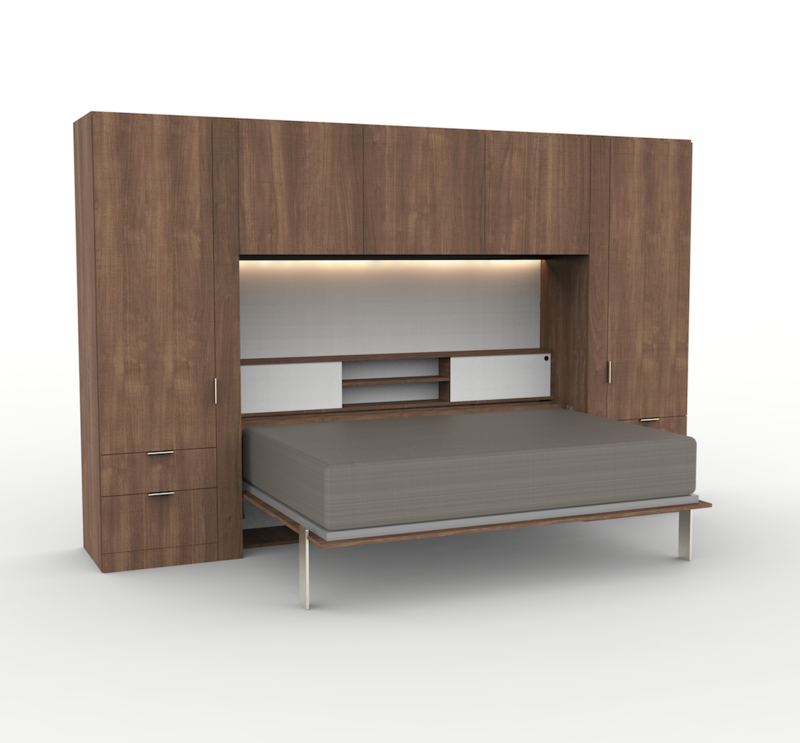 Our wall beds enable spaces to live with maximum function while using less space. 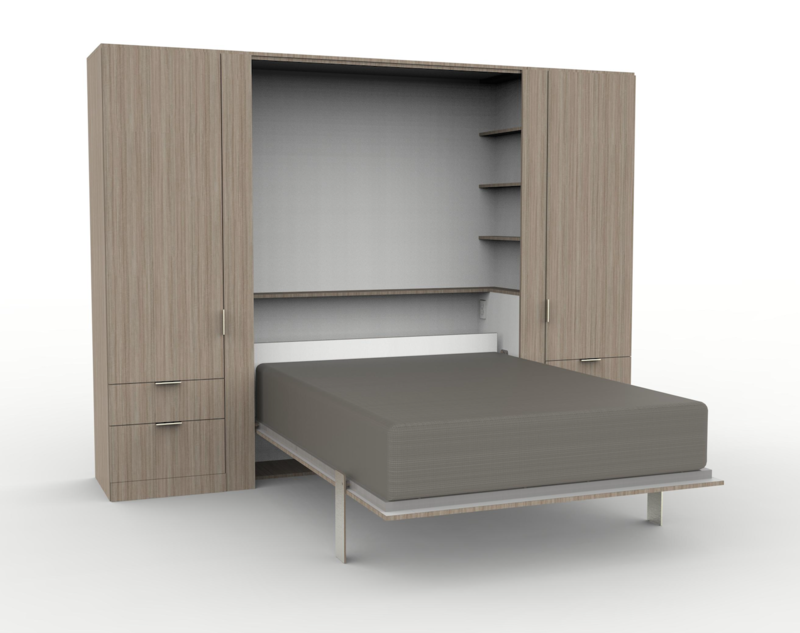 Compact design and human centered design deliver everything a bedroom has in an efficient package for full functionality in small spaces. The Horizontal Wall Bed can accommodate full or queen mattresses up to 12" thick and 60 pounds. The Vertical Wall Bed can accommodate full or queen mattresses up to 12" thick and 60 pounds. 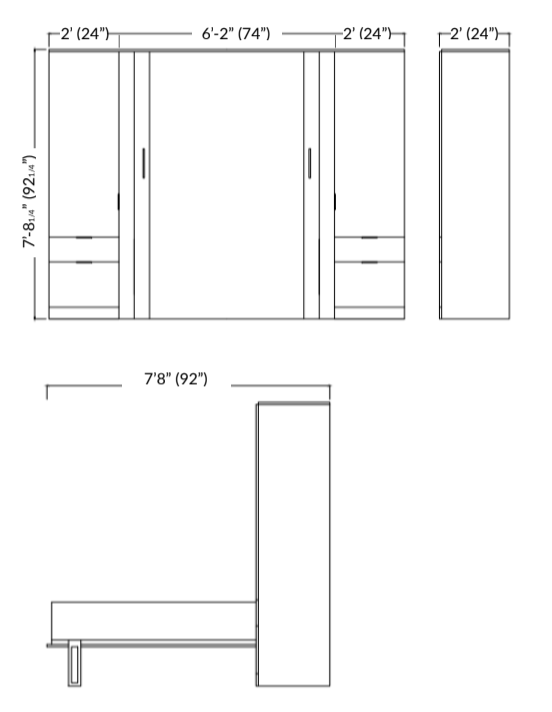 Cabinets and Wall Bed constructed of 3/4-inch thick high-quality commercial grade composite wood. 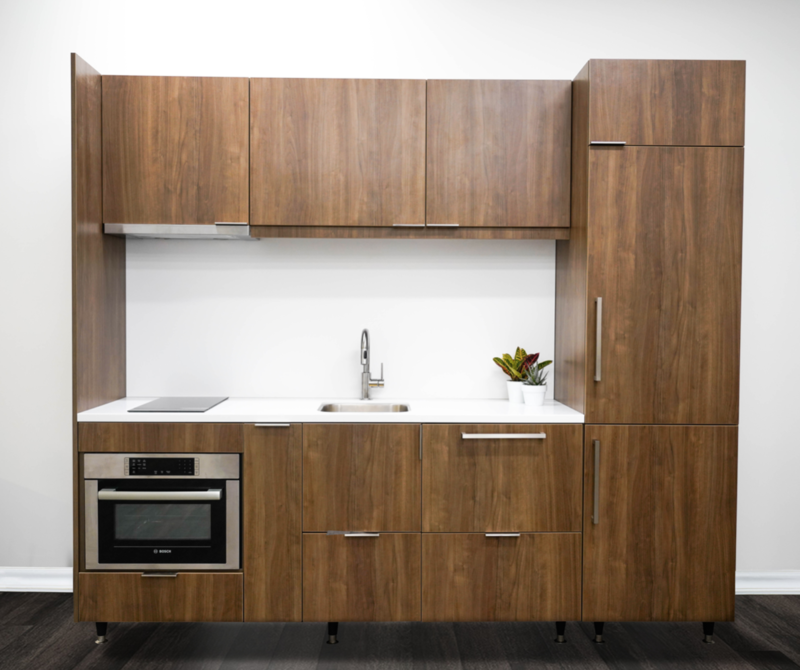 Drop forged cabinet and bed hardware with brushed nickel finish. 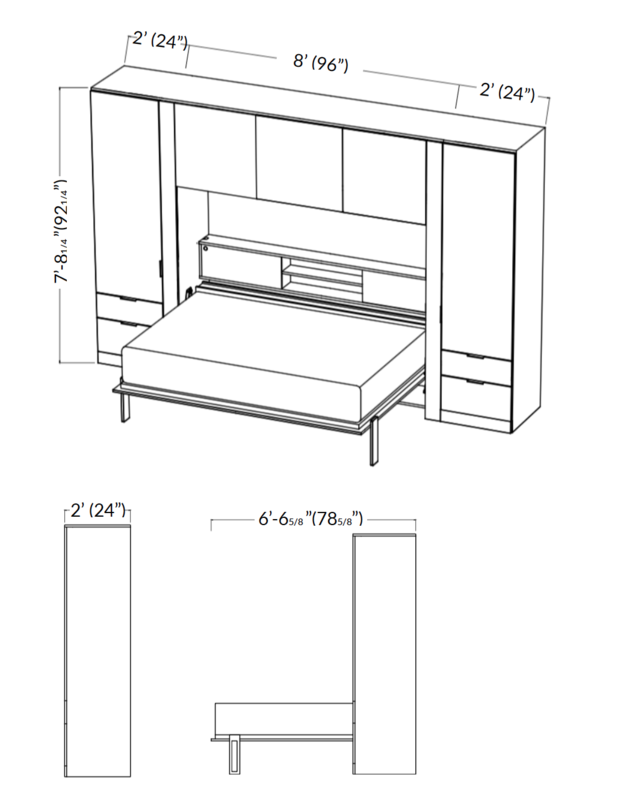 We have designed right and left storage towers that seamlessly join to either one of our wall bed options. We also offer a wall bed sofa that collapses when the bed is down, and reappears when the bed is stored.